Many projects executed by both private and public sector organizations fail to realize their expected outcomes. The reasons for this can be subtle. The best laid plans can be subject to small delays that are not suitable for control using a traditional change management system. In a volatile environment (which is increasingly the case in the modern business world), project plans need to be flexible and embrace change as being the norm rather than the exception. A traditional view of successful projects is that they are highly dependent on well-defined and well-understood requirements acquired from all stakeholders. However, not all work environments are stable enough to enable effective prediction of all project requirements. In volatile situations where requirements change rapidly and stakeholder needs emerge during project execution, stakeholder value (and satisfaction) is best supplied through an adaptive management approach rather than traditional predictive techniques. 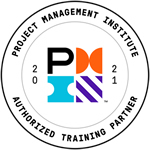 The Project Management Institute (PMI)® clearly acknowledges the emergence of this paradigm through their increased focus on adaptive concepts in the ANSI standard “Guide to the Project Management Body of Knowledge, fifth edition, (PMBOK® Guide)”. The facilitator will introduce each of the core topics using a lecture format. Presentations are supported by reinforcement exercises to emphasize the application of theory in real-world project settings. This GLOMACS Adaptive (Agile) Project Management training seminar commences with an overview of the nature of projects and the fundamentals of project management. This enables delegates to reflect on how a project management framework supports effective control processes. The early sections of the seminar explain how to use the predictive approach to establish the work to be done and use this information to develop a comprehensive plan that guides different aspects of this work. Delegates apply techniques to control both planning and execution of scope, schedule, cost and risk. Adaptive project management is then introduced and reinforcement exercises are applied to provide delegates with insights into the power of effective team empowerment to foster flexibility, responsiveness and innovation. A practical explanation of the SCRUM framework is supported by team exercises that foster greater understanding of how this approach controls the delivery of value to stakeholders and support continuous improvement within the project team.